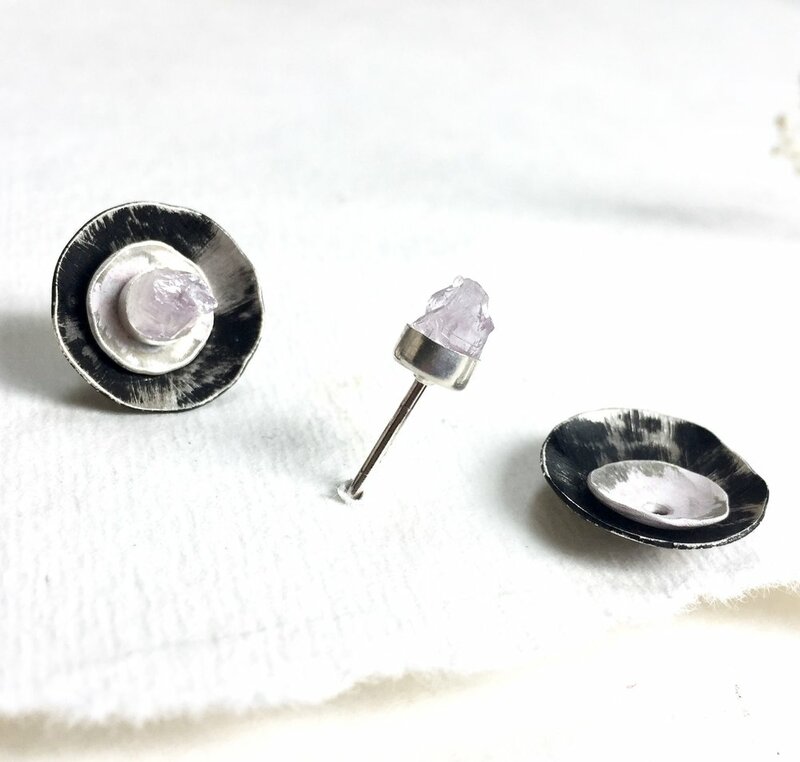 Artist Emma Lalumandier has created The Earring Bar Collection, a completely customizable earring that can be transformed to fit any occasion. Not only does this collection tackle the age old obstacle of day-to-evening wear, it allows you to express your very own creativity, making each piece virtually one of a kind. Ear Jackets are the artist's exclusive design and are all hand forged in small batches in her studio. They're stack-able, lightweight and have a lovely organic form that when layered look truly magical.